Found on: Very small population on the southern islands of the CNMI, more abundant in the northern islands. 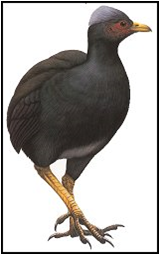 Facts: Slightly smaller than chickens and have long, yellow legs with black claws. They have yellow bills and red areas around their eyes that are exposed areas of skin where their feathers are sparse. 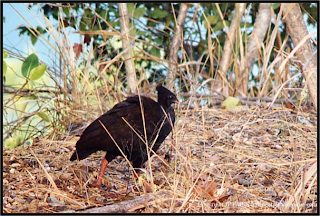 How long until they are endangered: Threats to these megapodes are habitat degradation by feral mammals, human consumption of their eggs, commercial and residential development, competition of introduced species and predation. Common predators include rats, pigs, dogs, and monitor lizards. 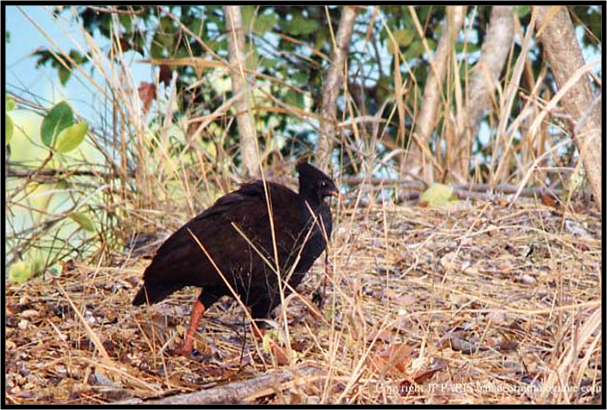 It is illegal to hunt, kill, or possess this bird or its egg without a permit issued by DFW.